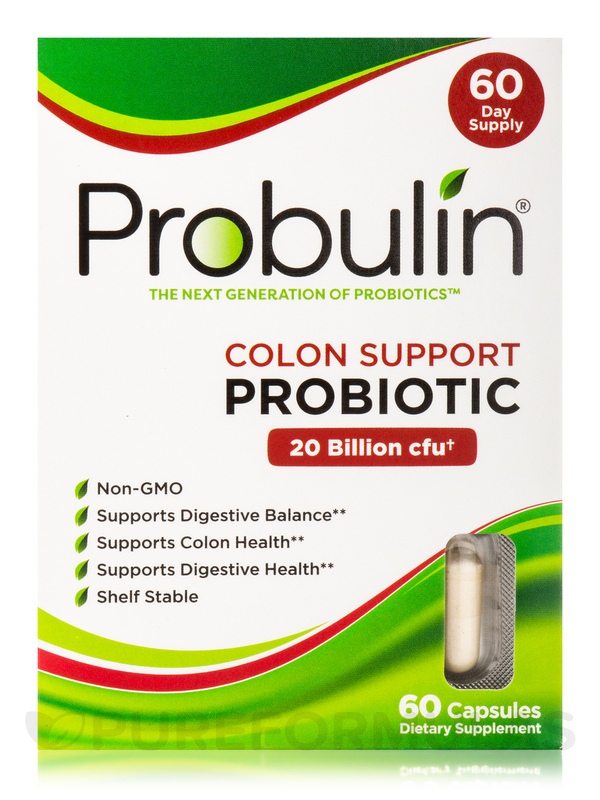 Probulin® Colon Support is a targeted once daily Probiotic + Prebiotic highly concentrated in beneficial bifidobacteria to provide extra colon support. †At Best Buy date as long as recommended storage conditions are maintained. 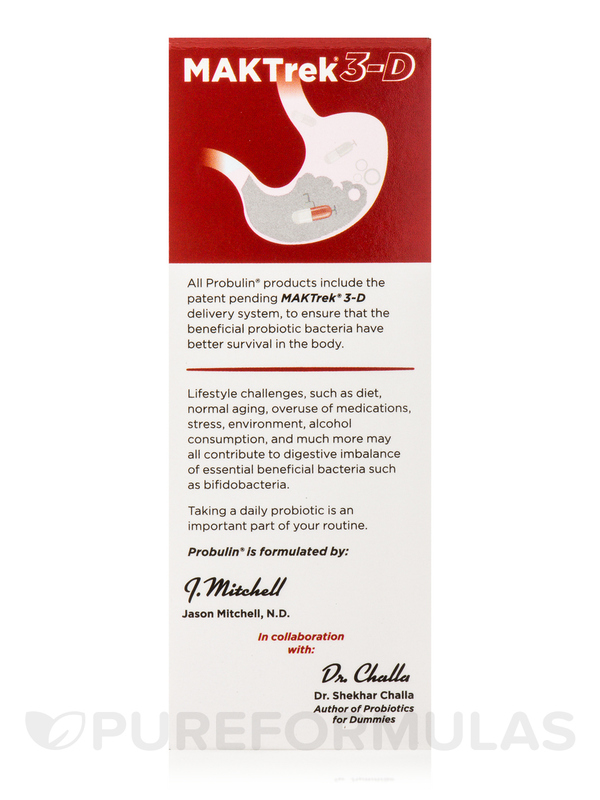 Other Ingredients: Complex marine polysaccharides [Brown seaweed (lessonia nigrescens)]‚ vegetable cellulose (capsule shell)‚ cellulose‚ Non-GMO rice maltodextrin‚ tricalcium phosphate‚ sodium chloride‚ potassium chloride. 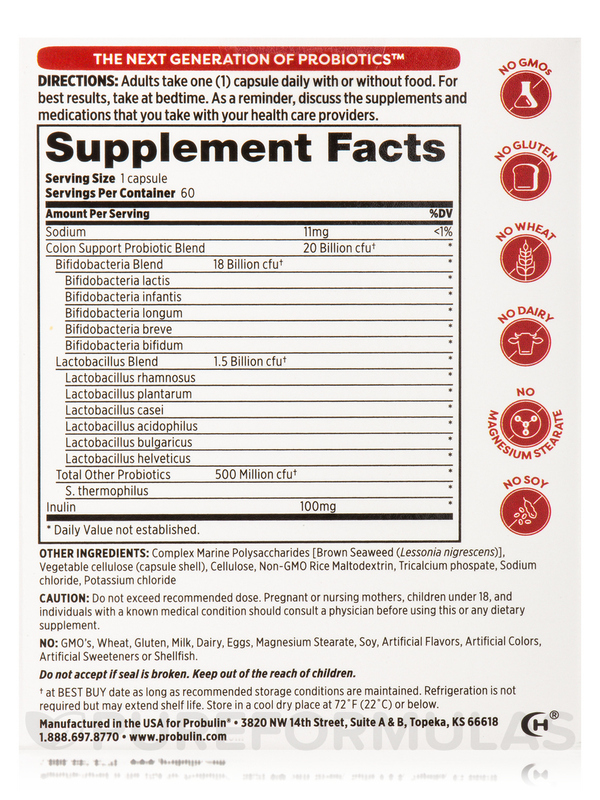 No: GMO's wheat‚ gluten‚ milk‚ dairy‚ eggs‚ magnesium stearate‚ soy‚ artificial flavors‚ artificial colors‚ artificial sweeteners or shellfish. 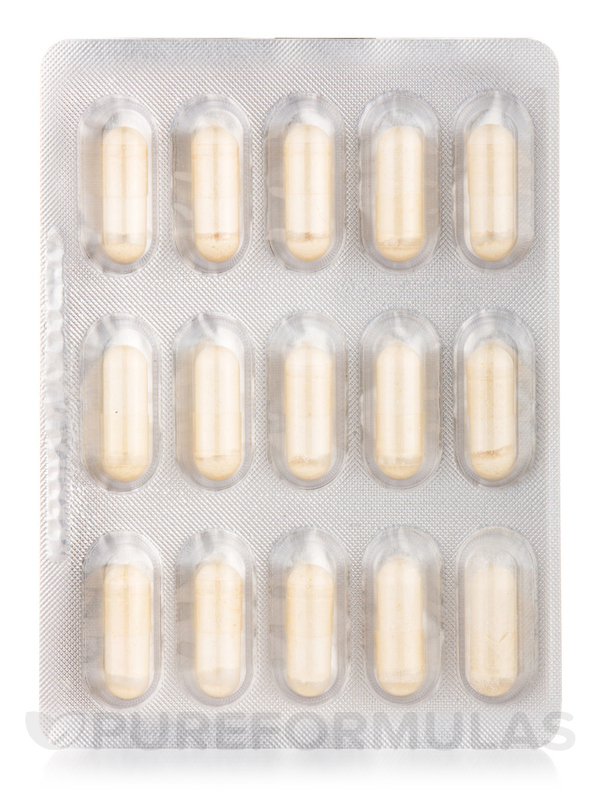 Adults take one (1) capsule daily with or without food. 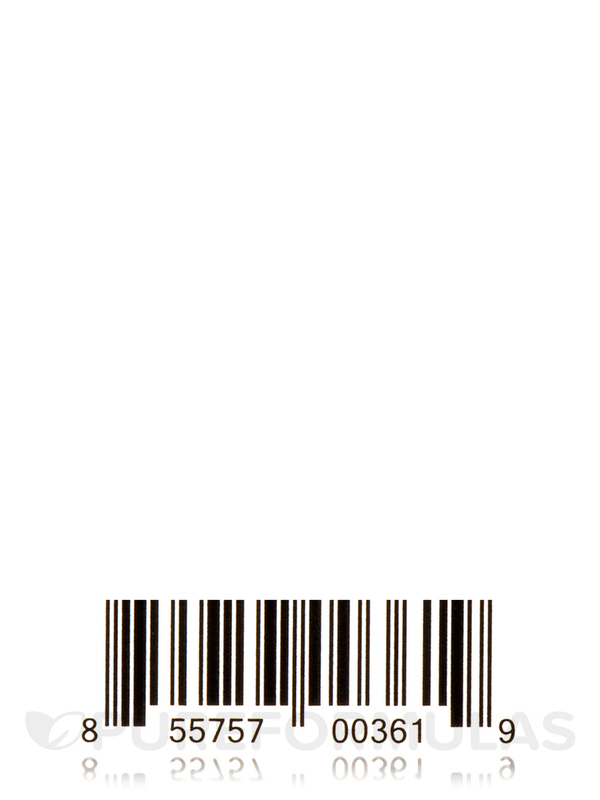 For best results‚ take at bedtime. 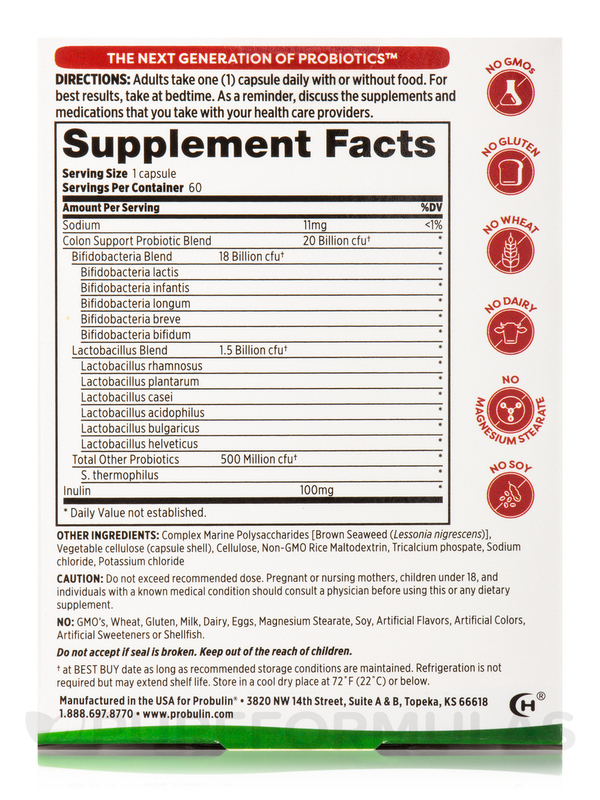 Pregnant or nursing mothers‚ children under 18‚ and individuals with a known medical condition should consult a physician before using this or any dietary supplement. 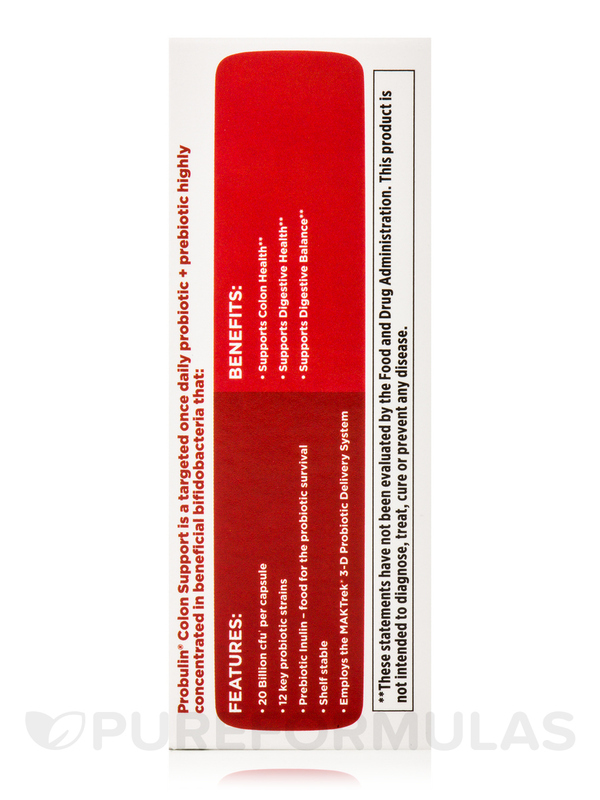 Shelf Stable: Refrigeration is not required but may extend shelf life. Store in a cool‚ dry place at 72° F (22° C) or below. 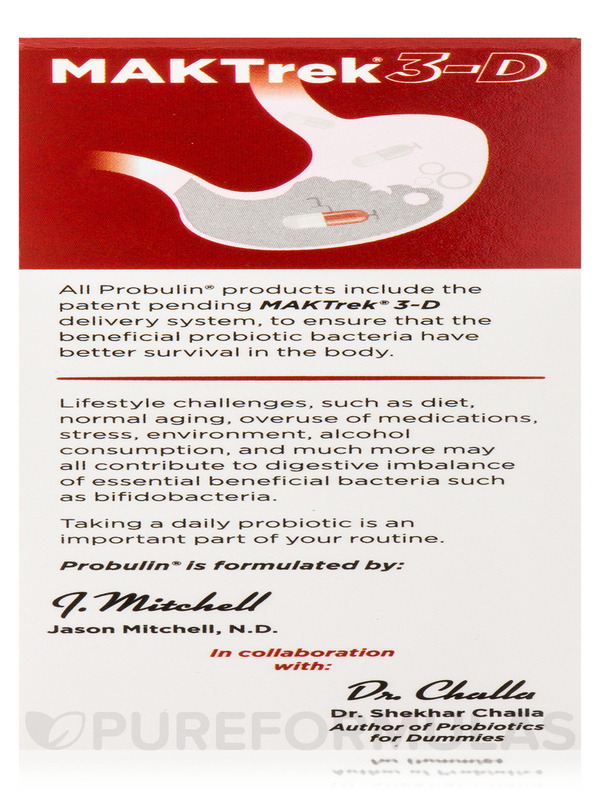 I was experiencing IBS symptoms and my regular probiotic wasn’t making a difference. 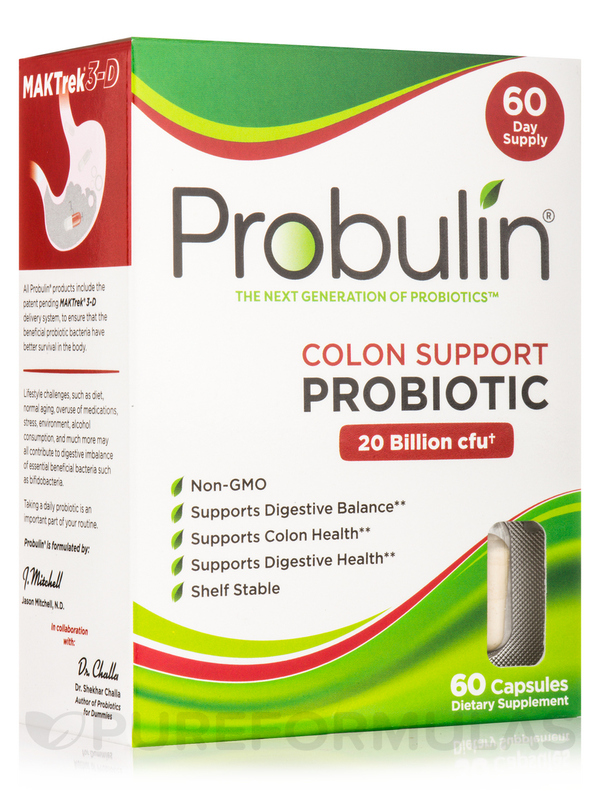 I decided to try Probulin after being told that these good bacteria would survive longer due the Probulin’s delivery system. 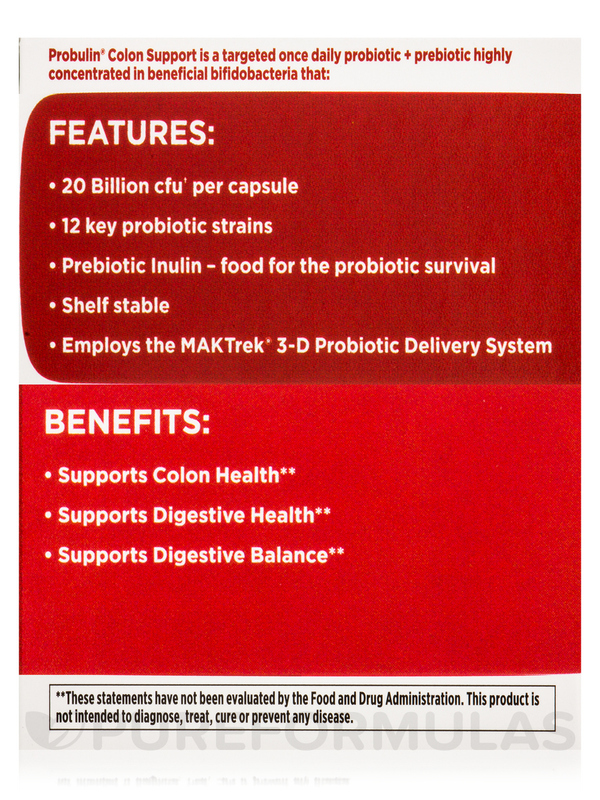 Plus, it includes a prebiotic, which is also important to feed the good bacteria. I couldn’t be happier with it! 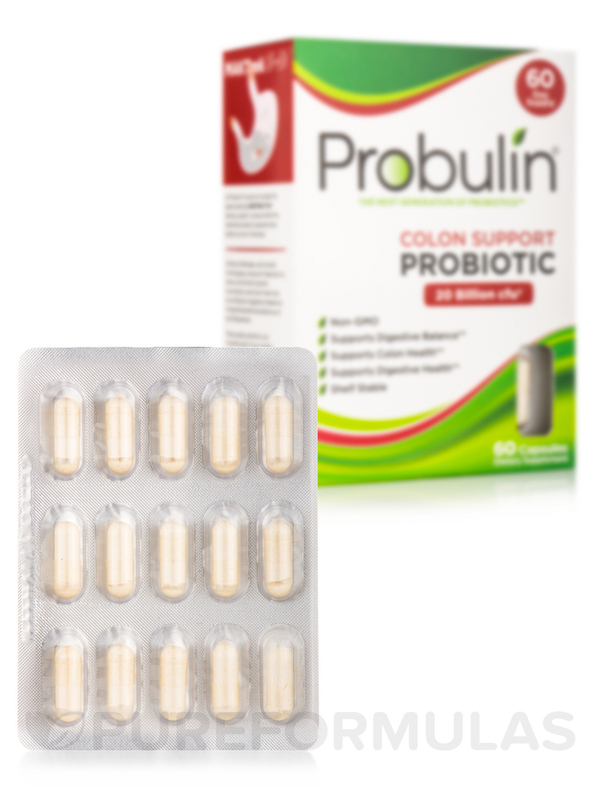 Since taking Probulin - about 4 months now - my IBS symptoms have almost completely disappeared. So thankful!